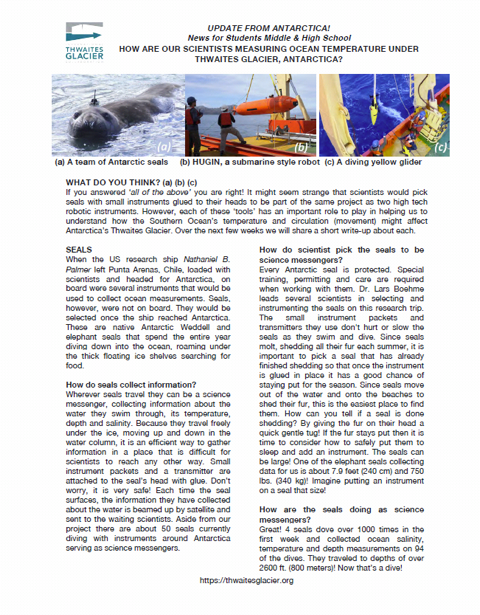 Our "Antarctic Field Update" education series helps keep you and your students informed about current research in the Amundsen Sea, Antarctica, from our scientists onboard the Research Vessel Nathaniel B. Palmer as they study ocean characteristics near the Thwaites Glacier. 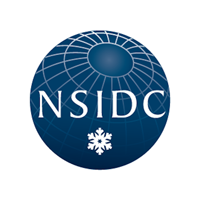 These updates are associated with reports from the research, found at our Snow on Ice page. 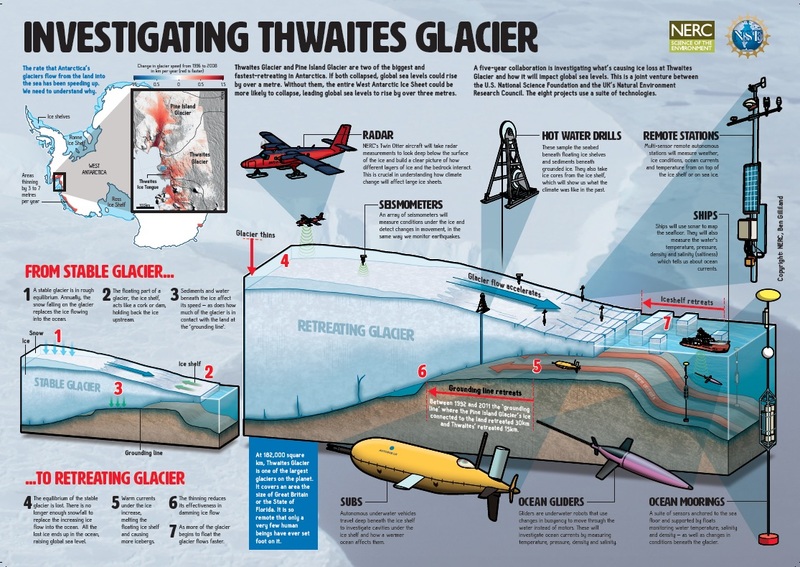 Antarctic Field Update #1: How are our scientists measuring ocean temperature under Thwaites Glacier, Antarctica? 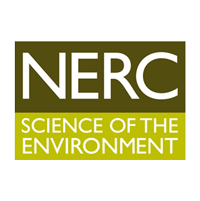 Educational infographic - Issued by NERC and NSF, this provides an overview of what ITGC scientists are doing, and why. Icelights: Antarctica - These articles answer your burning questions about the frozen continent. 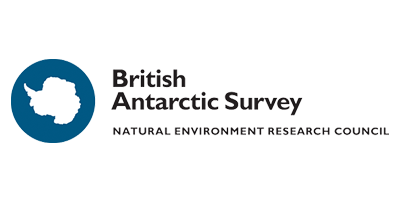 All About Sea Ice: Arctic v. Antarctic - Gives an overview of why sea ice behaves differently at opposite ends of the Earth. All About Glaciers - This provides information and examples of glaciers in Antarctica and around the globe. 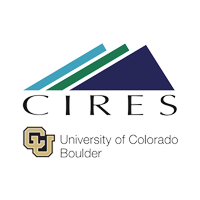 Quickfacts: Ice Shelves - Learn the basics about the interface between glacier ice and ocean water. 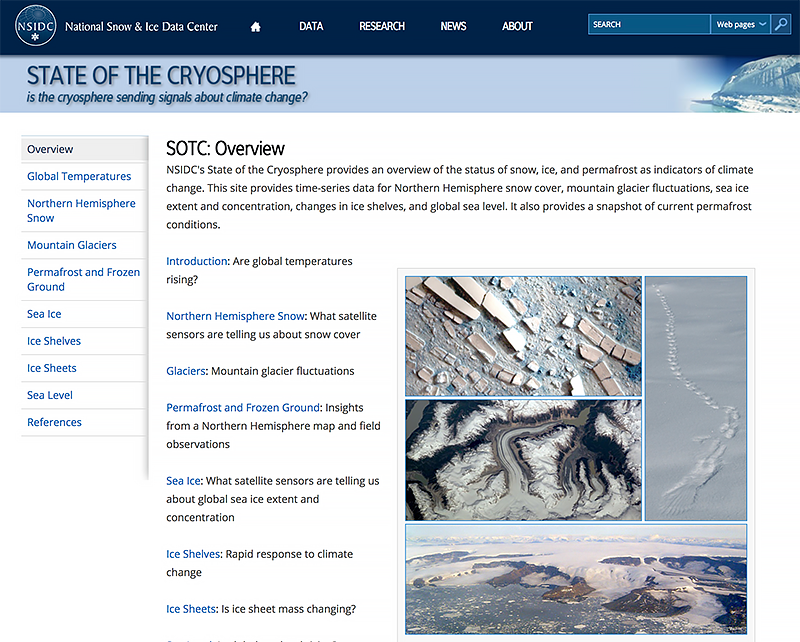 State of the Cryosphere - This site provides timely information about sea ice, ice shelves, ice sheets, and other frozen parts of our planet. 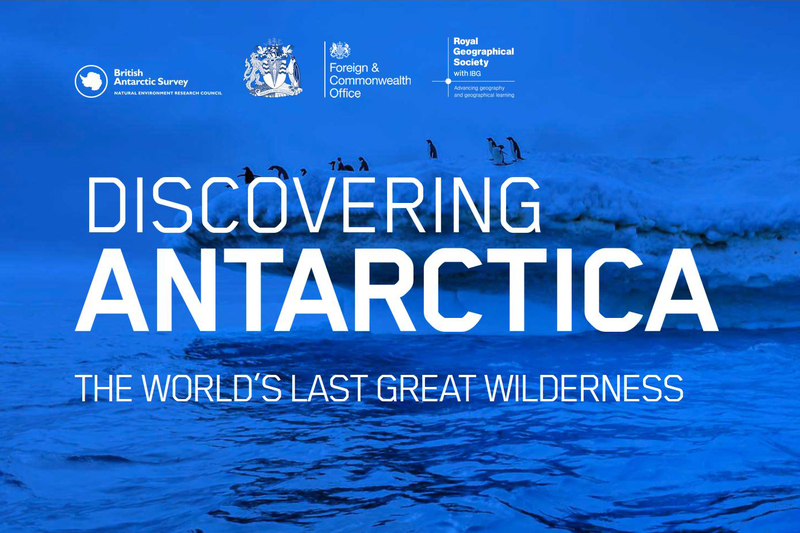 Antarctic Geography - Antarctica is the largest and most pristine wilderness on Earth. Antarctic Wildlife - Everyone loves a penguin!